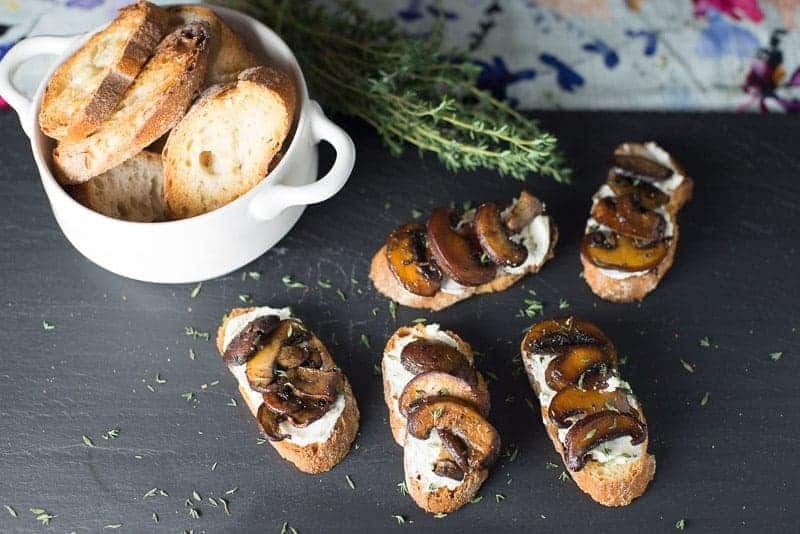 Crostini, lemon scented goat cheese, perfectly browned mushrooms with butter and thyme. Any complaints? I didn’t think so. These are so easy and so good. You will look like a 5 🌟 chef if you bring these to your next dinner party. Crostini, lemon scented goat cheese, perfectly browned mushrooms with butter and thyme. Any complaints? I didn't think so. These are so easy and so good. You will look like a 5 chef if you bring these to your next dinner party. Slice sourdough baguette into ½ inch slices. Toast until crispy. Watch closely. You can do this in a toaster oven or on a baking sheet at 400℉. Add goat cheese, lemon zest, and pepper to a small food processor. Pulse until mixed. Add cream until the texture is like that of a nice spreadable butter. Melt butter in a french skillet (or a large surface skillet) on medium-high heat. Saute mushrooms until they are a deep golden brown. Reduce heat and add thyme. Optional step: If you LOVE garlic, rub the toasted bread with a piece of raw garlic. Butter each slice with a sufficient amount of goat cheese. I have tried with and without the garlic rub – they are both really tasty. It is a matter of preference... Do you need to repel vampires or not? That is the real question. These tasty treats were like an appetizer, entree, and dessert, all in one! 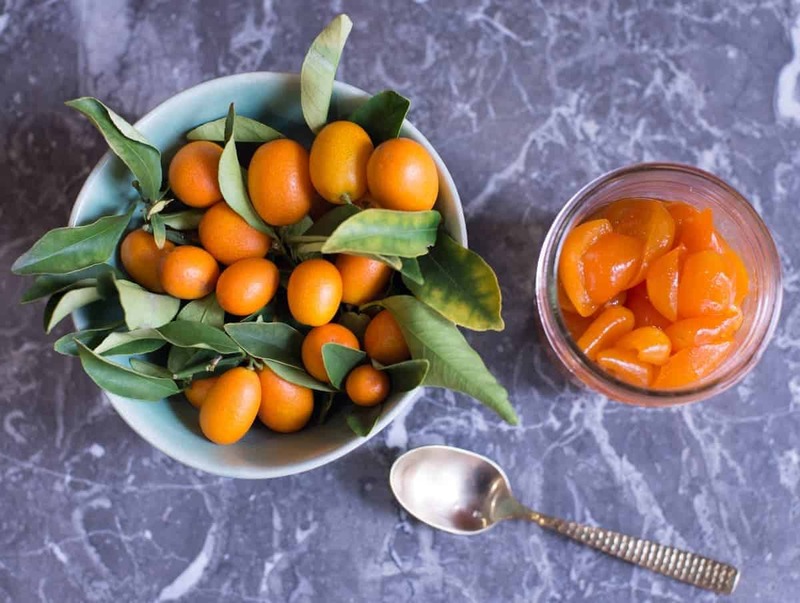 Meaning, they were tasty, bite-sized snacks to curb the initial hunger pains; savory and flavorful enough to satisfy; and delectable enough to to satiate. They were easy to make, and even easier to eat! Thanks Tiffany for the awesome review! These would be an easy and impressive holiday brunch appetizer. Recipe 1- Done! Since I love garlic, I would mince several cloves & add it to the skillet you are going to cook the mushrooms in. After sautéed, add mushrooms. Yum Garlic. I have also rubbed the freshly toasted bread with a raw garlic clove before adding the topping. It adds a spicy garlic flavor.